Varun Bhatia is Chief People & Culture Officer at AirAsia. In his role, he is responsible for AirAsia Group's People and Culture function, working with about 25,000 Allstars and building one of the best digital airlines in the world. Varun has worked in senior HR roles in various blue chip MNC’s like, Gillette, Proctor & Gamble, Kraft Foods, Levi Strauss & Co. For the last 20+ years, he has lived and worked in various locations- Delhi, London, Singapore, Boston, San Francisco, Kuala Lumpur and more recently Bangkok - gaining extensive international experience in different companies, cultures and countries. 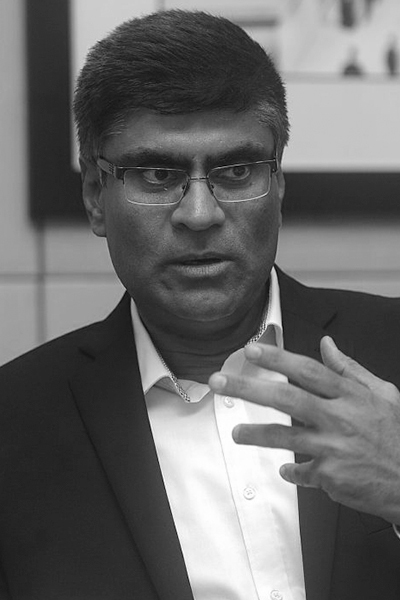 He has deep experience in managing transformative changes and has been involved in regional and global M&A's and divestitures involving Duracell, Gillette, P&G, Danone, Cadbury, Parker, Rembrandt etc, Passionate about areas related to developing talent and human wellbeing, he takes an active interest in disruptive companies who look at people and businesses differently.. He is also on the Board of the HR Fund and Knolskape and supports various HRTech startups as an Investor or as an advisor. He was also the Founder & President of Growth Outcomes LLC - an Organization and Human Resources Consulting firm. Apart from his work, he’s also passionate about Golf, Cricket, Music, Travel, Photography, Tea and Wine. Varun has an undergraduate degree in Economics from SRCC, India and a masters in Human Resources from XLRI Jamshedpur, India. He studied Organizational Behavior at Harvard University and Corporate Finance at the London Business School.